As a young man with an ageless obsession with cars, Jake Nelson’s medical diagnosis might have permanently disqualified him from fulfilling his lifelong dream of driving. For several years, Jake’s parents Nancy and Randy drove him to different car lots across Minnesota to watch him revel at the shiny coats and chrome wheels. But Jake’s role as a mere spectator changed the day Jake’s dad pulled into the lot of Apple Ford Lincoln Apple Valley. For the first time, Jake was pursued as much more than a potential client. Salesman, Matt Luken greeted him, showed him around, and introduced him to the sales staff. 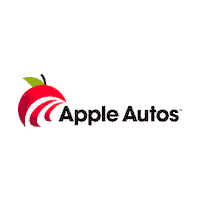 A year later, at the age of 17, Jake became an Apple Autos asset. If you’re looking for open doors, crooked tires, or uneven park jobs, you won’t find them at Apple Ford Lincoln Apple Valley because Jake keeps our lot looking perfect. Though putting his thoughts into words is often a challenge for Jake, his animated gestures and unparalleled passion is easily understood. Jake was a true asset and treasure to our Apple Autos company and we are excited to see where life takes him!